Insurance made easy — Devin Financial Group Inc.
Getting the protection you need is faster and simpler than ever before. When thinking about getting a financial plan in order, many people tend to focus on investments, bank account balances, or paying down debt. Insurance protection can sometimes get put on the back burner, often because of misconceptions: it’s not fun to think about, it seems difficult to get or it’s assumed to be unaffordable. Well, insurance is changing – and today’s solutions not only make getting the coverage you need faster and easier than ever before, they can also play a big part in helping you reach your financial goals. Insurance is an important part of a financial plan – even those who are young, don’t have children or are not the main breadwinner of a family should have some form of protection. That said, choosing the right type of insurance for your life stage and financial needs is key. For example, young professionals may want to consider critical illness or disability insurance to help manage expenses if an illness or disability prevents them from working, whereas middle-aged consumers might benefit most from a permanent life insurance policy. 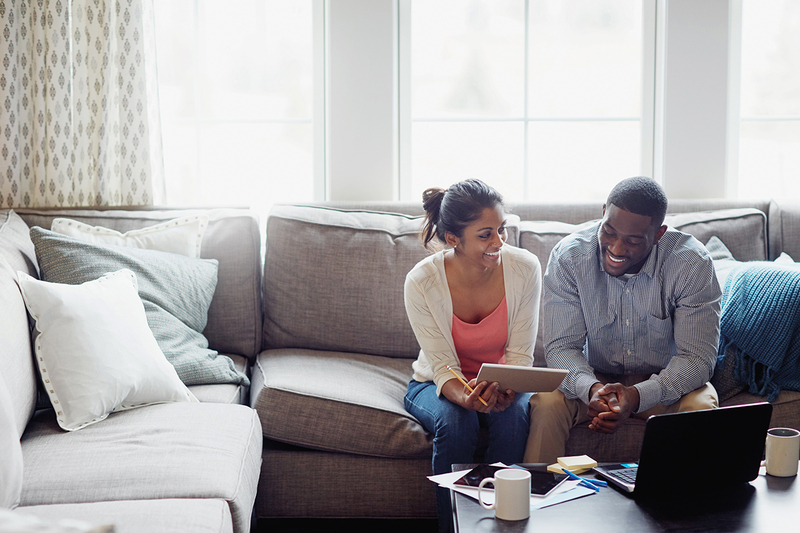 Your advisor can help you find the right protection for your life and wealth stage. It used to be that applying for insurance was a complicated process involving face-to-face meetings, lengthy applications and the need to provide blood and urine samples. Now applications are simpler. Many can be completed online without having to meet in person and can also be signed electronically. In most cases, medical exams and fluid samples are a thing of the past. Today, approvals are quick, and coverage can be in place as little as 48 hours after you apply. But the truth is, the right coverage can be designed to fit comfortably into your life and financial plan. Term life insurance, for example, is a cost-effective solution that can provide protection for a specific length of time. And some new programs allow consumers to earn premium reductions and other rewards, based on making healthy lifestyle choices. Making a decision that can safeguard your family’s lifestyle is a great feeling. Not only that, there are a range of innovative solutions that help keep you motivated to make healthy lifestyle choices. Programs that incorporate goal setting, activity tracking and rewards for everyday accomplishments can encourage positive habits that can lead to lasting health benefits. When you consider the advancements and choices available, it’s clear that getting the necessary protection may actually be one of the easiest parts of implementing a financial plan. Speak with your advisor to determine what type of insurance and how much coverage is best suited for your needs. Term life insurance provides protection at a guaranteed rate for a specific period, such as 10 or 20 years. At the end of the term, if you want to keep your protection, you can renew the policy or convert it to permanent insurance. Permanent life insurance provides protection for life, as long as your premiums are paid. In some cases, you can accumulate a tax-advantaged investment or cash value that may increase the amount you leave to your beneficiary. Critical illness insurance provides a one-time payment if you’re diagnosed with a covered medical condition. This benefit can be used to help support the daily needs of you and your family while you are unable to work. Disability insurance provides regular payments to help replace your income if a disability prevents you from working. This type of protection is especially important if your job is your family’s primary source of income or if you run your own business. Even if you have insurance through a benefits plan at work, it may not be enough to maintain your family’s current standard of living in the event of a death, sickness or disability. In households where the primary wage earner is covered by group insurance only, the average amount of coverage will replace income for only two years. An individual policy can help top up your benefits – and stay with you, even if you change jobs.